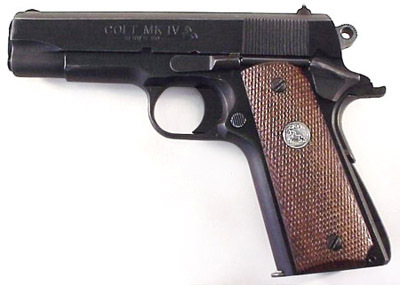 Shortly after the Second World War, the United States Government began sponsoring a series of tests to find a new pistol to replace the Colt M1911A1. 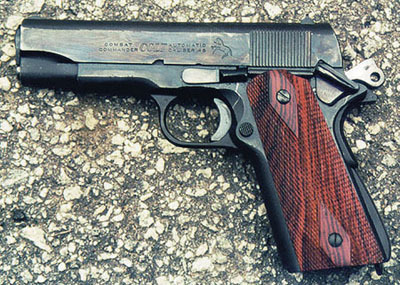 One of the key requirements dictated at the time was that the pistol was not to exceed 7.0 inches in length or 25 ounces in weight. 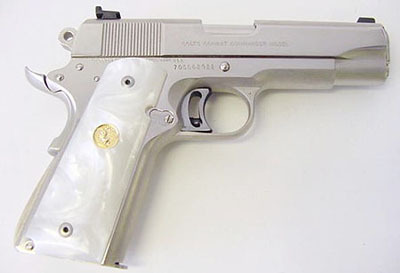 These tests were conducted at Aberdeen Proving Grounds as well as at Fort Benning, Georgia. 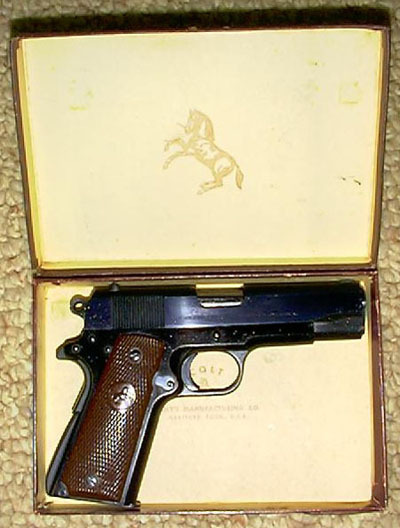 The pistols submitted at this time were the S&W M39, the Colt Commander, a modified Inglis Hi Power, a FN Hi Power and the T3 trial pistol, all chambered in 9mm Parabellum. 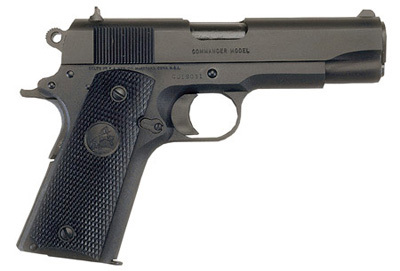 Proposed at the end of 1949, the Commander was intended to fill a military need for a lighter handgun which would be issued to officers. 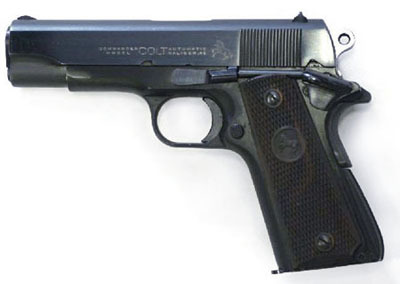 None of these pistols were selected for the Armed Forces during this round of tests, but Colt wisely decided to go forward with commercial production of the Commander and it proved itself to be a popular and successful design. 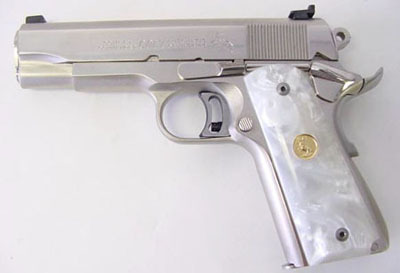 It was available in several chamberings including the 9mm Parabellum, .45 ACP and the .38 Super. Prior to 1970, Commander frames were made in a light aluminum alloy, called “Coltalloy®”. 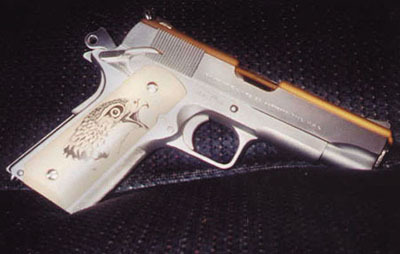 It was the first time that any name-brand auto pistol manufacturer had used an aluminum frame in a regular-production big-bore gun. 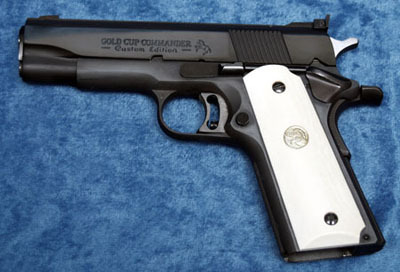 Another first for the Commander was that it was the first Colt 1911 designed specifically with the 9mm Parabellum cartridge in mind. 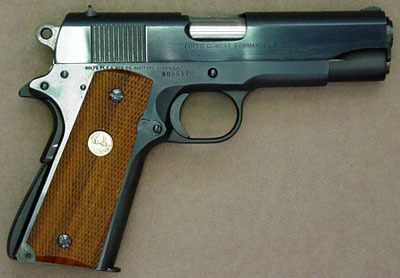 In 1970, an all-steel version was introduced under the name of “Combat Commander”. 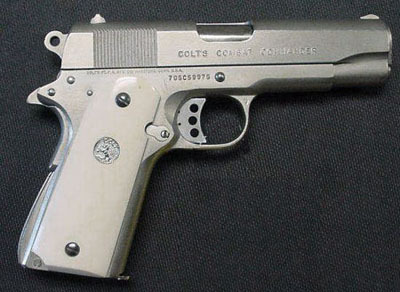 From 1970 on, the Commander was referred to as the “Lightweight Commander.” Colt has continued to build Commander-style pistols through its successive design permutations. 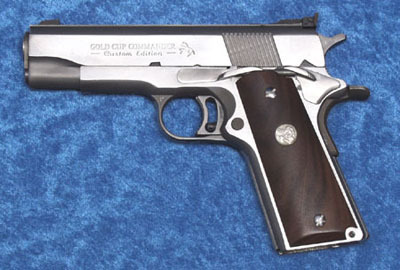 The Gold Cup, MKIV Series 80, M1991A1, and XSE series have all included Commander and Lightweight Commander models. 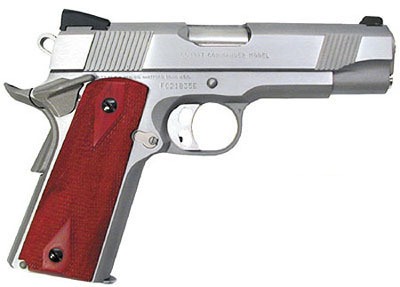 Series 80 Combat Commander – .38 Super, 9mm, .45, blue slide and stainless receiver variant with Hogue grips in 1998 only, blued, stainless and satin nickel variants.